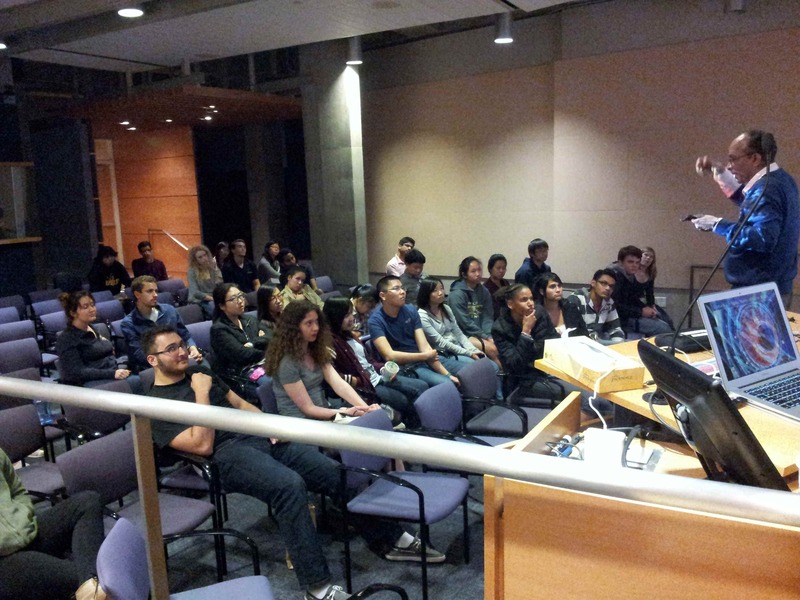 On February 20, UWIP hosted a talk with UCSD Professor Vivek Sharma on the search for the Higgs boson particle. Professor Sharma is an experimental particle physicist who is currently involved in the search for the Higgs boson at the Large Hadron Collider near Geneva, Switzerland. By smashing ultra-energetic protons and examining the resulting sub-atomic debris, he attempts to understand the fundamental constituents of this universe. After the talk, UWIP members had an opportunity to interact with professor Sharma at a personal level at Regent’s Pizza.